Despite that the sells of the mid-size trucks are still far behind the full-size models in the US, Ford returned the Ranger model on the US soil after the absence of almost a decade. As it was expected the US Ranger is derived from the global version and comes in the Xl, XLT and Lariat trim levels. The FX4 package boosts the off-road performance and the model debuts with the single turbo-4 engine and 10-speed automatic transmission. However, for the global market, Ford presented the high-performance Ranger Raptor model and confirmed the launch for September. This version makes the use of the bi-turbo diesel engine and other aspects are pretty much the same recipe as on the full-size Raptor available in the US. But buyers in the US are asking about the Ranger Raptor version and Ford hasn’t confirmed the arrival yet. 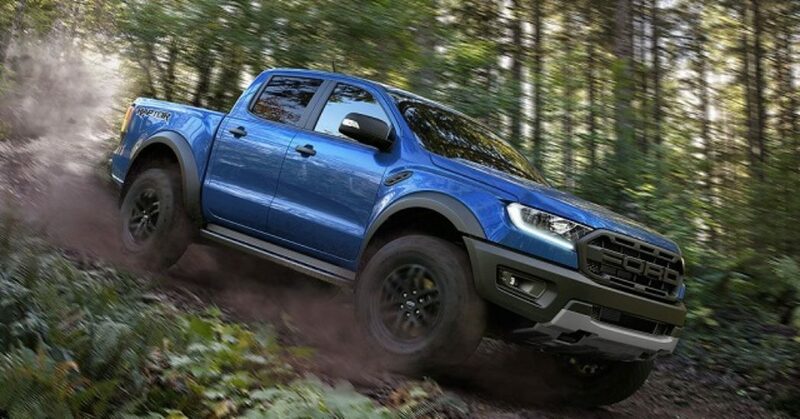 The reports suggest the arrival of the super truck as the 2020 Ford Ranger Raptor. Based on them, the model will apply the very similar recipe as the global version but the diesel engine won’t be the ingredient for this market. The Raptor models are performance machines and compared to the conventional versions, these models brag with the upgraded performance and hardware. The global version uses a 2.0-liter bi-turbo diesel engine. This oil mill pumps 210 horsepower and 369 pound-feet of torque. It has the high and low-pressure turbos which uses hi-tech Inconel alloy that is also exploited in the rocket engines and thanks to that they can spin at 240, 000 rpm. However, the 2020 Ford Ranger Raptor isn’t expected with the diesel engine in the US. There are several possible candidates. Ford might make the use of the 2.7-liter bi-turbo V-6 gasoline unit with the power rating around 325 hp. Another possibility is a 2.3-liter turbo-4 EcoBoost engine used in the Ford Mustang. With this engine under the hood, the Ranger Raptor would also be able to get 300+ hp. The transmission system would be a proven ten-speed automatic like in the global version. This transmission is also the part of the full-size F-150 Raptor and Mustang GT. It uses the material mix of aluminum alloy, high-tensile steel and composites for optimized weight and durability. The chassis of the model, like in the global version, will be strengthened and optimized for tough terrains and off-road performance. Ford employs a High Strength Low Alloy steel for that purpose. The model will combine a more capable chassis with the upgraded suspension as well. The Fox Racing Shox will be standard equipment and provide a smooth ride over all terrains. The better grip will provide 17-inch wheels with the all-terrain tires. The model will also have the improved approach, break over and departure angles compared to the conventional version. The approach angle of the global version is 32.5 degrees and 24 degrees is the departure angle. Ford will also equip the Terrain Management System with likely six modes for different conditions like in the global version. The performance is, of course, the priority for the 2020 Ford Ranger Raptor but it won’t lack the style and technology either. The US Ranger Raptor won’t look much different from the global version as it is the case with the conventional variants. The model will have the stronger presence thanks to the increased ride height, wider track and fenders and beefed bumpers and wheels. The blacked grille with the large FORD lettering will have the shape of the conventional grille version. The model will also add the underbody protection, wider front and rear guards, bigger brakes, upgraded running boards, etc. The interior of the model will also feature the special treatment. The passengers will enjoy in Ford Performance seats. The model will also have a unique steering wheel and shift paddles. Special trim accents and Raptor emblems will also add to the interior design. The model won’t also be short for the modern tech features. It will use an 8-inch touchscreen and Sync 3 features as well as the navigation, smartphone support, voice activation, a rear-view camera, etc. There will also be passive and active safety equipment. The Raptor will integrate the systems like Hill Start Assist and Descant Control, Trailer Sway Control, Electronic Stability Control, etc. The list of the safety equipment will also include the Lane Departure warning, lane keep assist, Roll Over Mitigation, etc. Ford likely waits for the well-received reintroduction of the new Ranger in the US market and then will announce the Raptor version. The model is expected as the 2020 Ford Ranger Raptor in the second half of 2019. 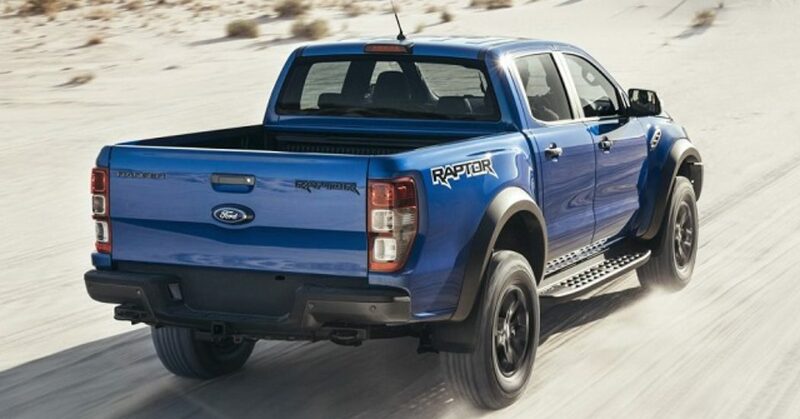 As for the price, the Raptor starts from $74, 990 Australian dollars in that market. Converted to US dollars it is $58, 204 and it is extreme price considering the full-size Raptor costs from $50, 115. However, since the full-size version isn’t available outside the US it can justify such high price. But the model must cost less than the larger Raptor and the expected price in the high thirties for the buyers in the US. We need and WANT the DIESEL Engine!